Showing results for tags 'Spareparts'. 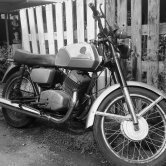 Hi guys, I have a few Jawa CZ 250 /471 bikes and was wondering if anyone knows if there are spare parts available in Sri Lanka. Thanks!